A wide variety of CrossBreed's IWB and OWB holsters will fit the Glock 43, including the SuperTuck and MiniTuck. Designed to be the answer to everyday concealed carry needs, this firearm will deserve the very best in a concealment holster. To that end, CrossBreed® Holsters has confirmed a fit for the Glock 43 in a wide variety of their IWB and OWB holsters including the SuperTuck® and MiniTuck® as well as ankle holsters, pocket holsters and their entire modular system. The modular system by CrossBreed® includes the Belly Band, Purse Defender, Bedside Backup, Pac Mat and RAM mount systems including a variety of modular accessories. CrossBreed® Holsters has gained national recognition as a maker of the best and most functional concealment holsters available on the market today. Each holster is still handcrafted to ensure your firearm is safe and secure while carrying. Combined with the best customer service in the industry makes CrossBreed® Holsters the company you can count on for all of your Conceal & Carry needs. 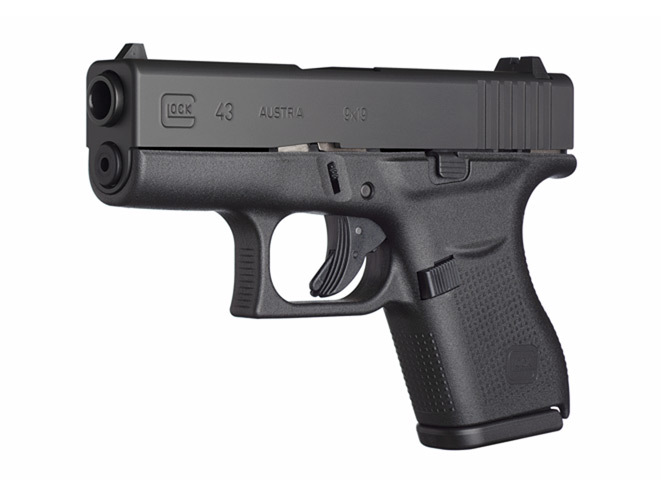 Visit http://www.crossbreedholsters.com for a full listing of holsters available for the Glock 43.